This creative project is loved by my students as it gives them a chance to really find a way to connect to the material of the Vietnam War in a new way. 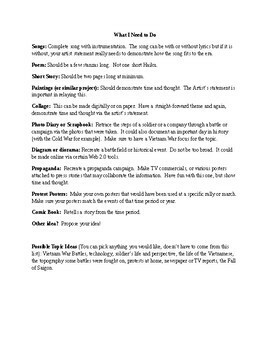 Students can write songs, make protest posters, write a poem, make a collage or a news report. There is a list of possibilities and students always find something! 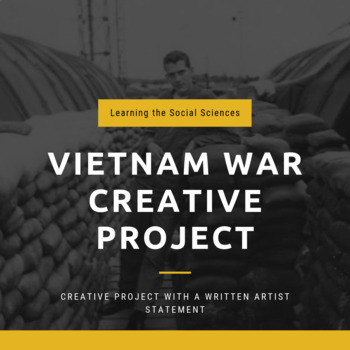 To help them connect their artistic project to the curriculum, they write a one or two page (whatever you set it at) artistic statement that explains what they did and how it relates to the Vietnam War era.